At the recommendation of my wife, Carol, I’m now reading The Power of Habit, by Charles Duhigg. It’s an engaging and enlightening investigation of how our habits are formed, how difficult it is to change them, and how we can create new ones. My other major habit is, of course, cycling. My habits of reading and cycling began around the same time, and perhaps for the same reasons. My earliest memories of reading are tearing through the SRA Reading Lab cards, starting in first grade. First grade was also when I finally managed to get the training wheels off my bike and ride on two unfettered wheels. Both served my curiosity and desire for freedom and exploration. As a teen I’d sometimes carry a book on my summer break cycling explorations in rural northeast Ohio. I’d often stop in a park in some small town and read. Today I cannot imagine a life without either habit. I’ve certainly thought of my cycling as a habit, but never in the clinical sense as explored in Duhigg’s book. Perhaps that’s why I’ve always bristled when asked by a non-cyclist acquaintance I haven’t seen for some time: “Are you still bicycling?” It sounds vaguely accusatory to me, like: “Are you still an alcoholic?” I’ve been so permanently hard-wired as a cyclist that it’s just like a chemical addiction. Unlike most adult cyclists, I didn’t give up cycling when I got my driver’s license, then pick it up again some years later when looking for a way to “get back in shape.” I never had to “create a new habit” for cycling, so I may not be the best person to tell you how to do that. But building any new habit requires removing barriers to the new behavior, and then rewarding yourself when you do it. Removing barriers could include putting your bike in the most convenient place to be used, buying a floor pump so it’s easy to keep your tires inflated or – best of all – being comfortable riding on the streets where you live and work, so you don’t feel like you have to load your bike onto your car and take it to a trail to ride. And rewards? Well, that’s the easy part. Cycling burns calories, so you can reward yourself with your favorite food or drink. 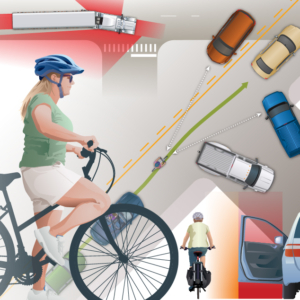 What keeps so many of us from biking more is other peoples’ habits – particularly motorists. 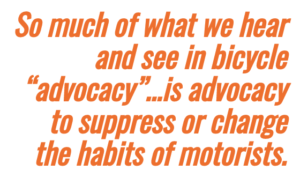 So much of what we hear and see in bicycle “advocacy” is really not advocacy of cycling at all; it’s advocacy to suppress or change the habits of motorists. As hard as it can be to change your own habits, it’s many times harder to change the habits of others. Especially when those others outnumber you 100-to-1. Motorists don’t necessarily improve their habits when a bike lane, sidewalk or sidepath is built, or when a new law is passed. 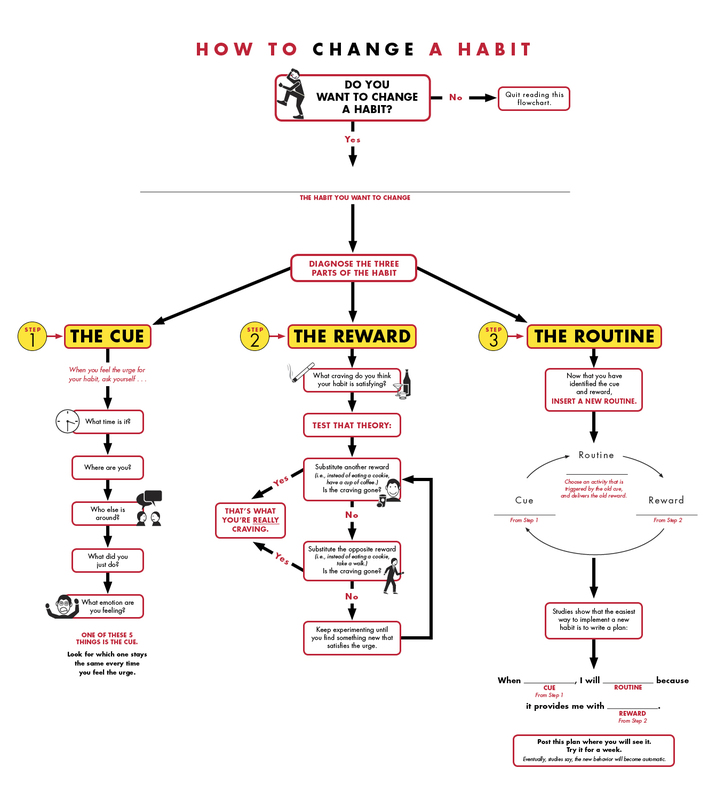 In order to change a habit you need a cue and a reward. Finger-pointing is counterproductive. Telling others “You have to change your habits for my sake” is a non-starter. Even if they did want to change, are they going to get enough opportunity and practice to learn a new habit? For example, the most common crash between a motorist and bicyclist is when the motorist is pulling out from a driveway or side street preparing to turn right and the cyclist is coming down the sidewalk facing on-coming traffic. The average motorist might look just a few feet to the right where a pedestrian might be. But to see a cyclist approaching at 12 miles per hour, that driver will need to look at least 100 feet down the sidewalk to the right. They rarely do. In most areas the chance that such a driver will encounter an approaching cyclist is very small. A cyclist might come by once every fifteen minutes. So even a motorist consciously trying to build a new habit is going to get little opportunity to practice. The cues are rare, and so are the rewards. The same can be said for all the other less-common types of conflicts. Advocates like to tout the safety of cycling in The Netherlands, but may not realize that Dutch drivers have always had far, far more opportunity to build the habits of scanning for, yielding to, and safely passing cyclists. Long before the Dutch started building so many bikeways, it was common to see 10 to 15 percent bicycle traffic in their cities. That means one out of every seven to ten street users is a cyclist. 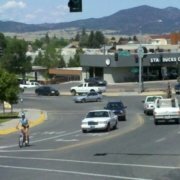 Think of the habit-building opportunity in such an environment compared to the average American street, where cyclists are less than 1 percent. 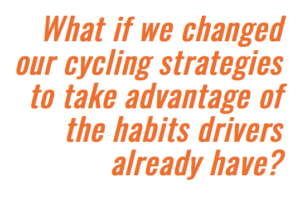 Rather than tell millions of others to change their habits in an environment that discourages them from doing so, what if we changed our cycling strategies to take advantage of the habits drivers already have? 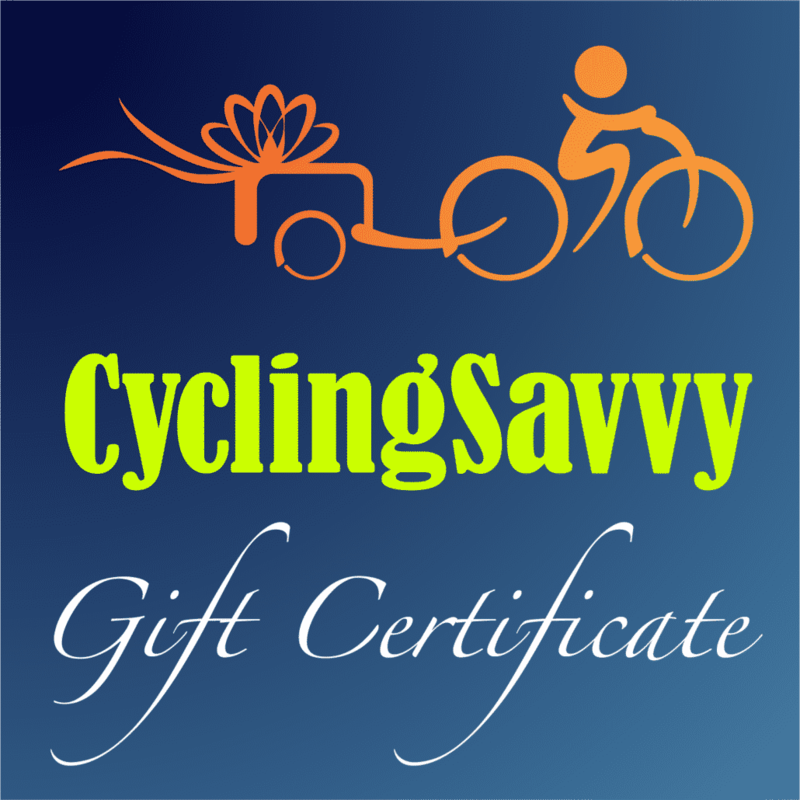 That’s what CyclingSavvy is: A set of strategies designed to take advantage of the habits American motorists have now. Our challenge at American Bicycling Education Association is to make successful cyclist safety strategies habitual for American cyclists. With a New Year around the corner, that will be – continues to be – our resolution. What’s your resolution to make cycling a stronger habit for you and your friends? What cues and rewards will you use? Please share your comments below!